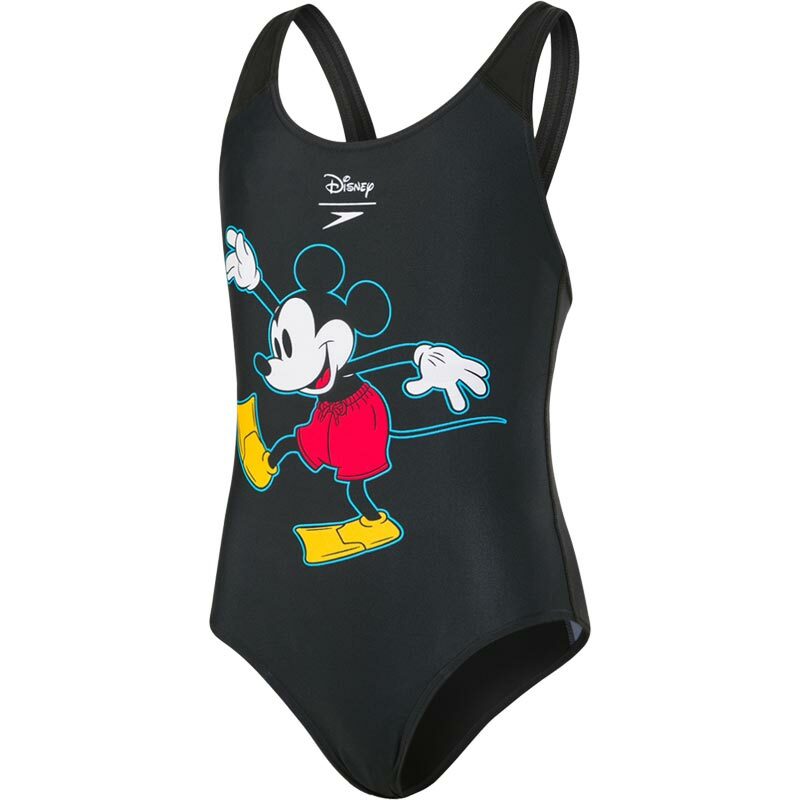 Bring the magic of Disney to race day with the retro-look girls swimsuit from Speedo's Disney range. The Speedo Mickey Mouse Splashback Swimsuit features a classic Mickey Mouse print, it's splashback style and high stretch fabric allows young swimmers to train and compete in comfort. Made from soft, shape-retaining Endurance 10 fabric. Have a magical time with Mickey Mouse! Splashback design keeps the straps away from the shoulders for increased freedom of movement in the water. Digital print gives excellent colour and definition. Higher chlorine resistance than standard swimwear fabric, fits like new for longer with CREORA HighClo. Fabric stretches so it retains it's shape for longer.